I made new flowers for my friend . 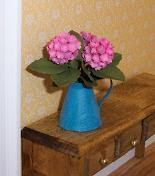 First picture is a pink hydrangea in a blue pitcher. 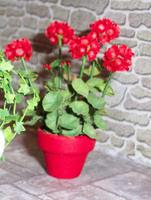 The second is a red geranium.